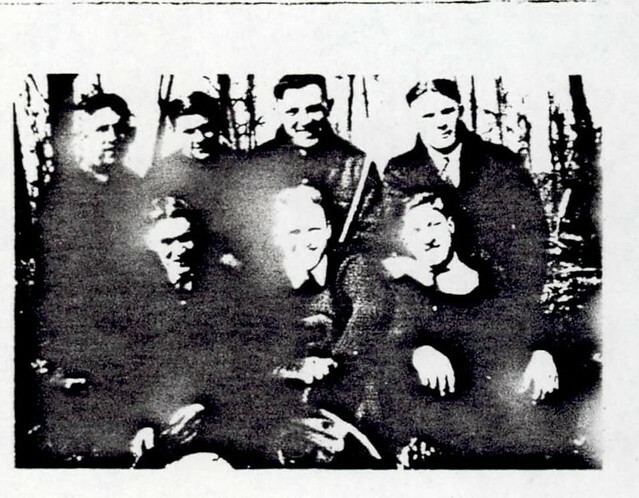 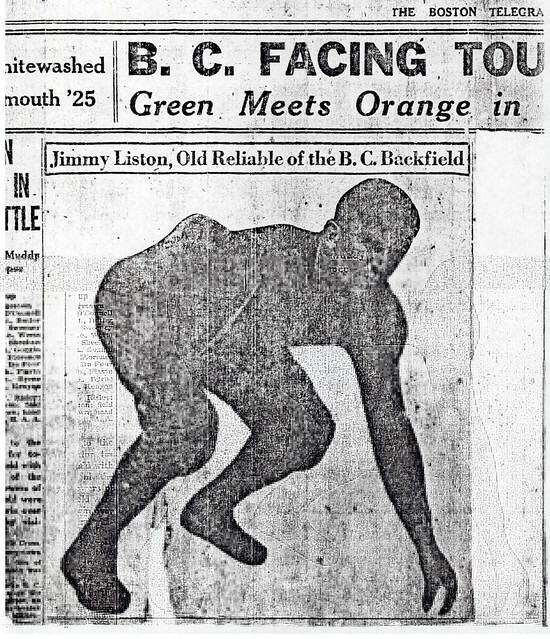 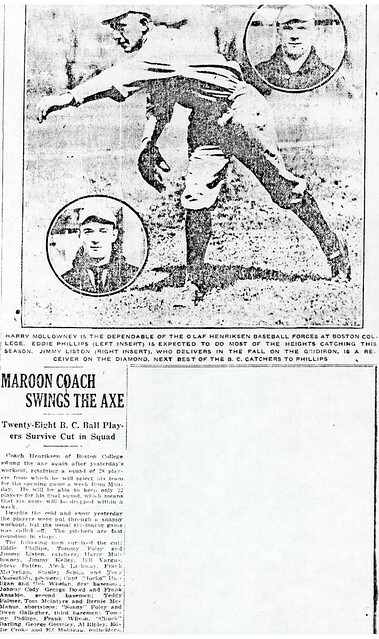 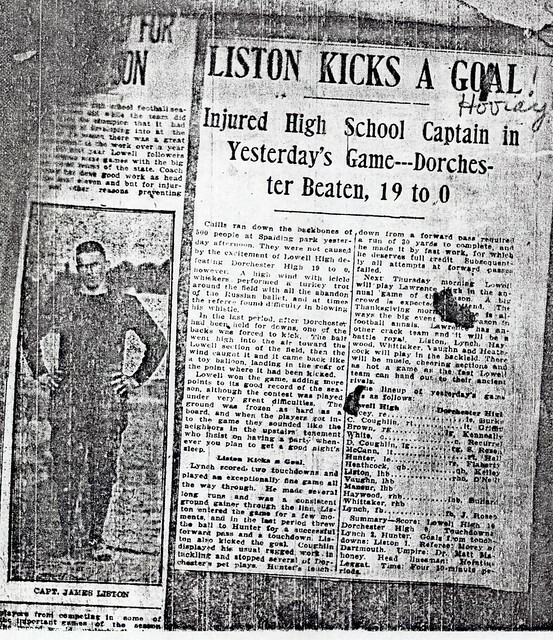 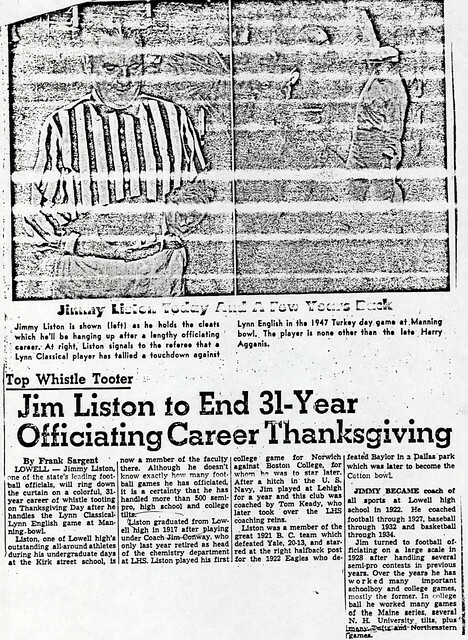 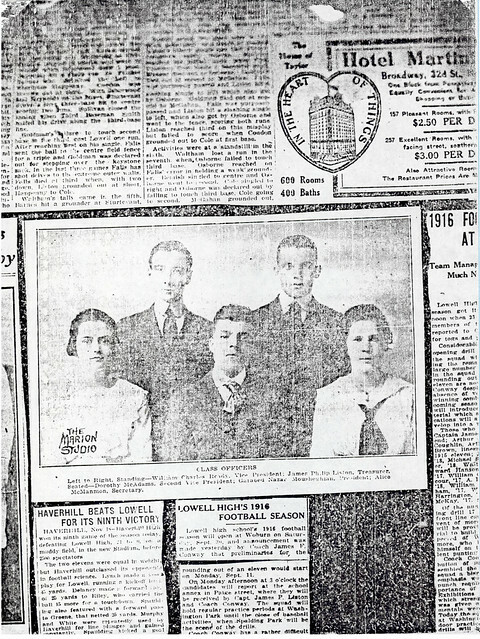 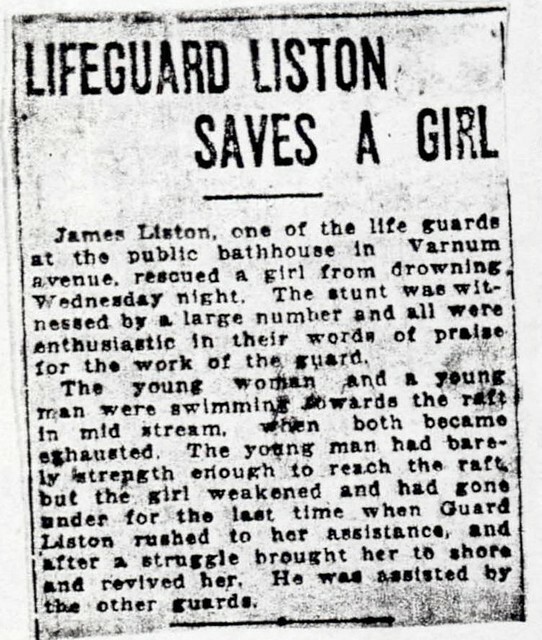 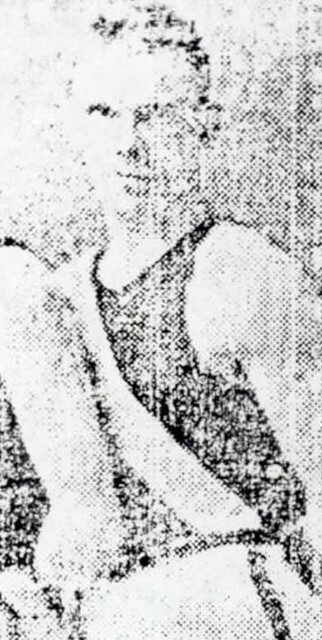 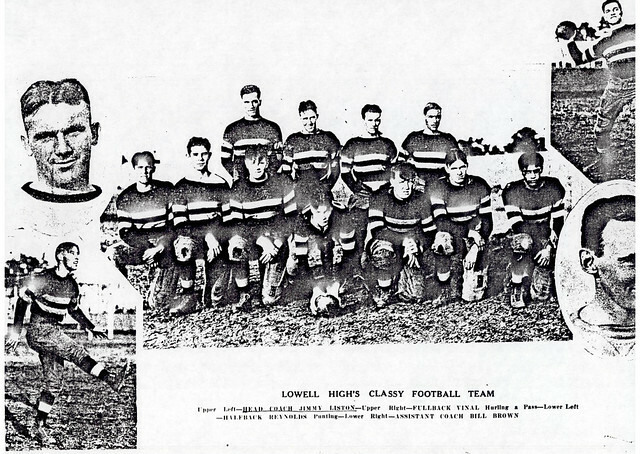 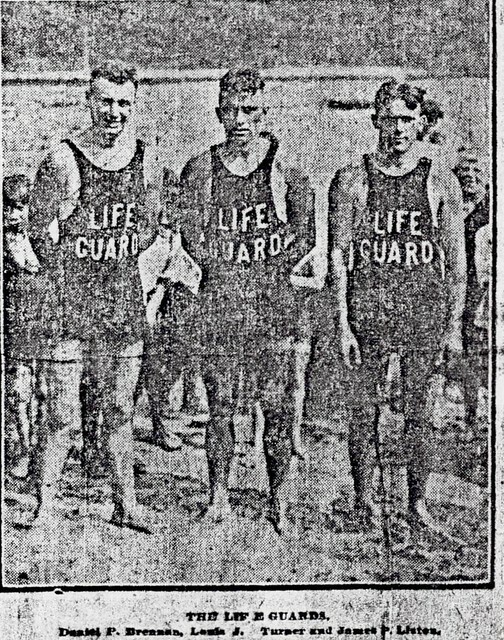 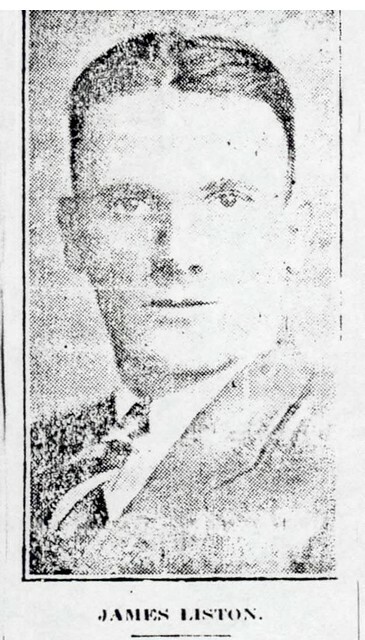 One of the outstanding three-sport athletes of early Lowell High School athletic history, Jim Liston later returned to his Alma Mater as football, basketball, and baseball coach of many of the outstanding athletes of the 1920’s and 1930’s. 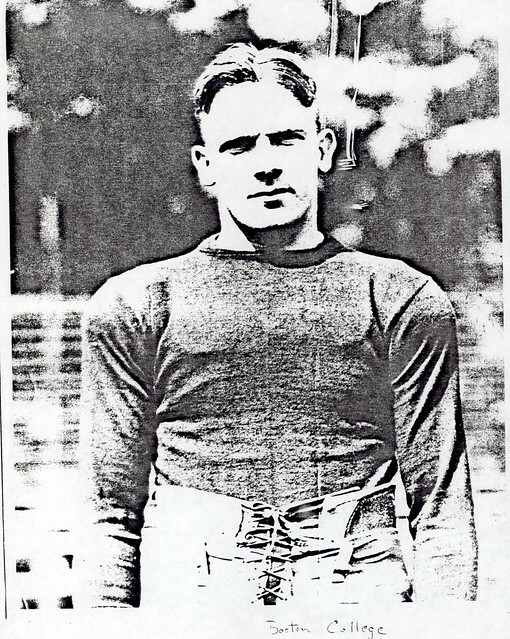 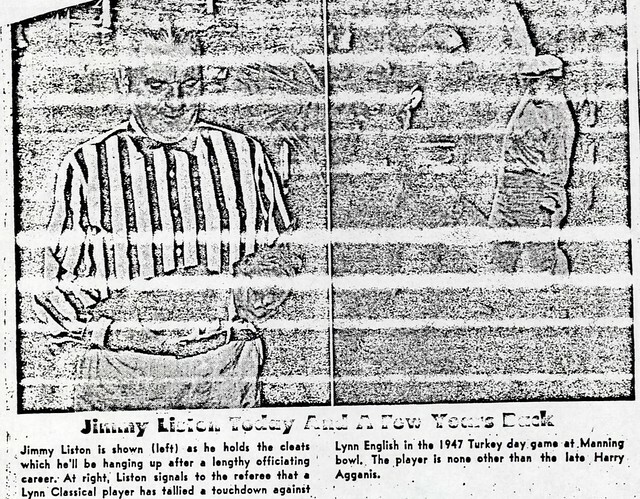 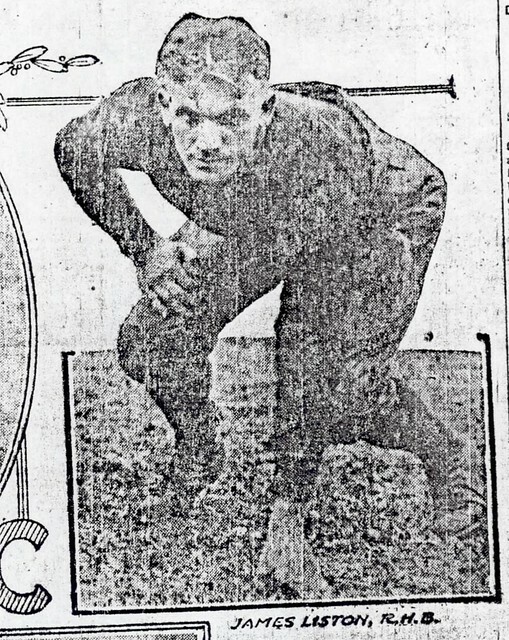 Jim was a hard running, high scoring halfback on the Red & Gray football squads from 1913–1916, serving as Captain of the 1916 eleven. 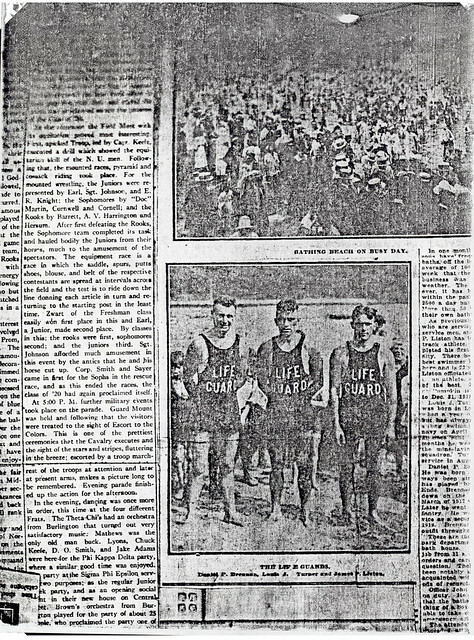 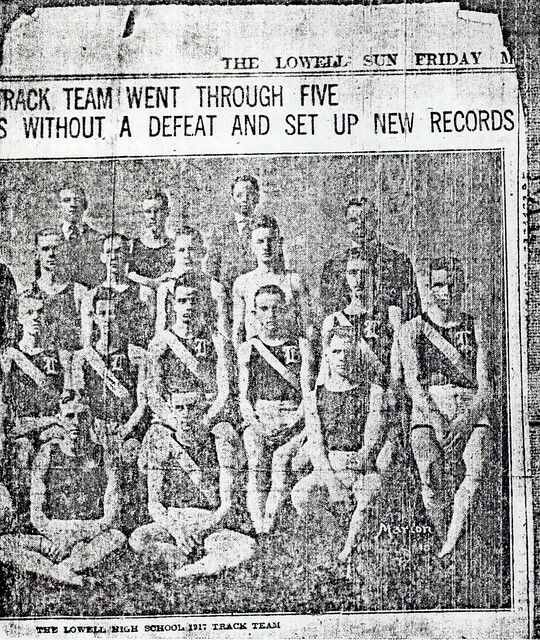 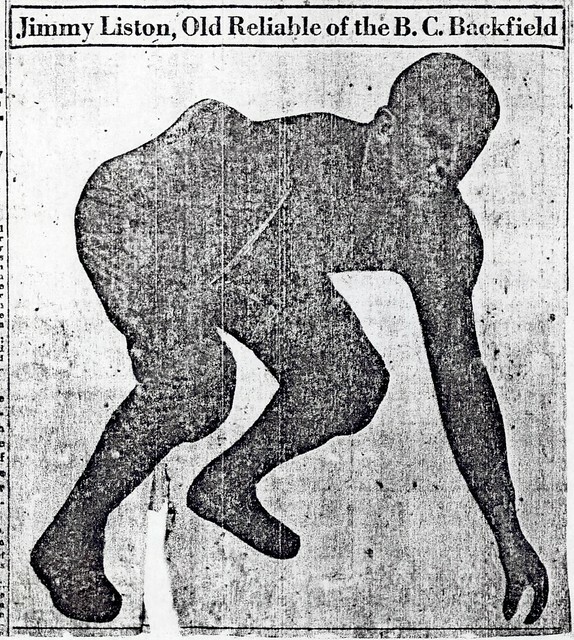 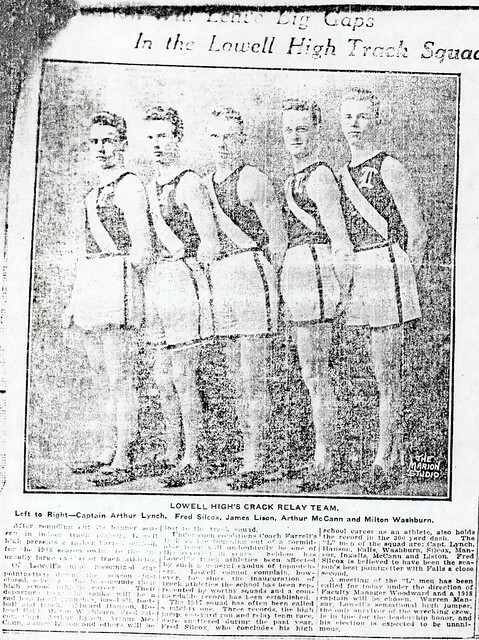 In the winter, Jim directed his talents to the track, helping lead Lowell to the Massachusetts High School Championship in 1917 as a hurdler, 600-yarder, and member of a record-breaking relay team. 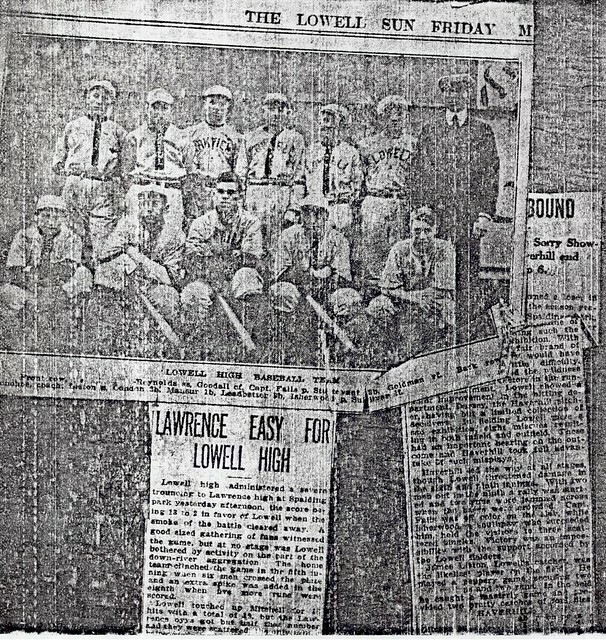 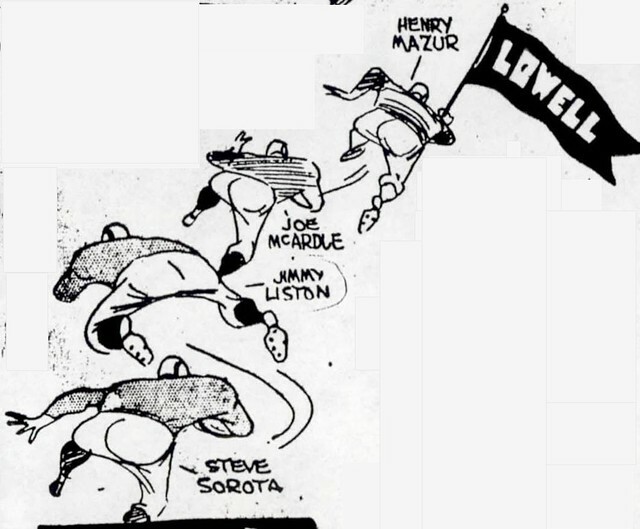 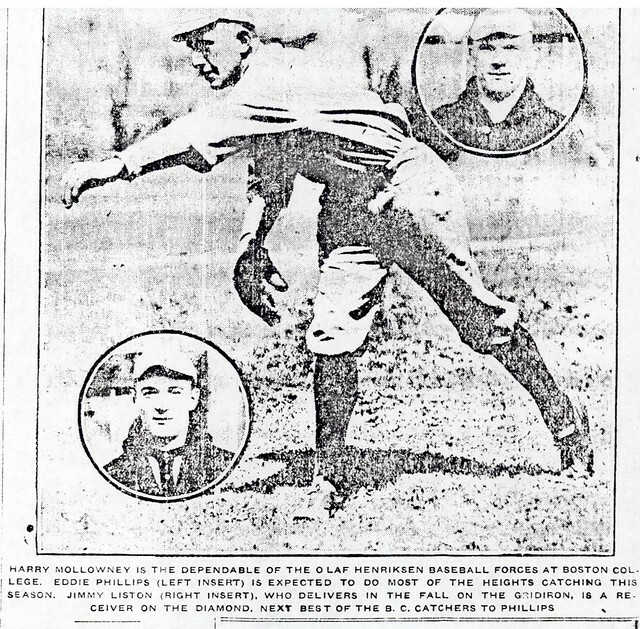 Jim was also a standout catcher on the Lowell High baseball team. 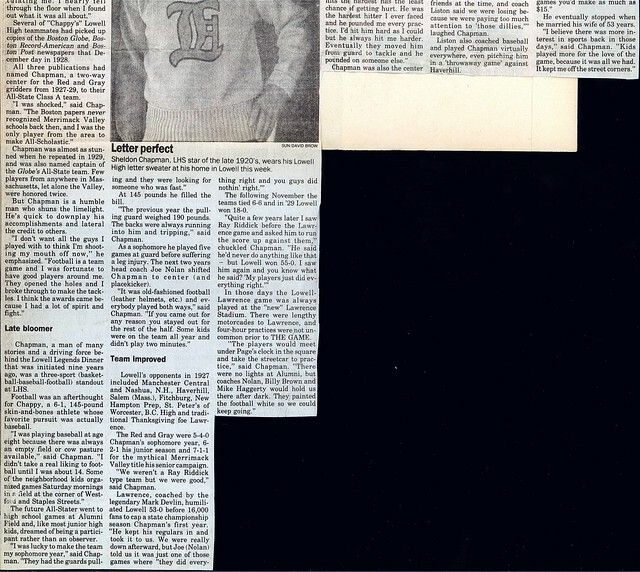 The talented Liston concluded his Lowell High School athletic career as a rare 12-letter winner, earning a varsity letter in each of his four years in three sports. 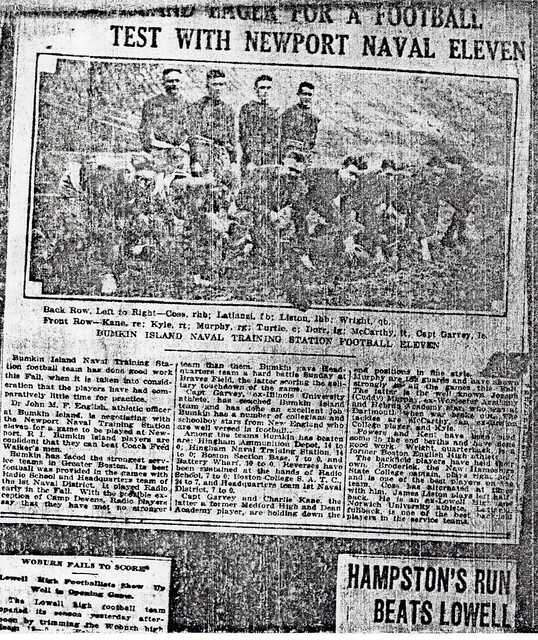 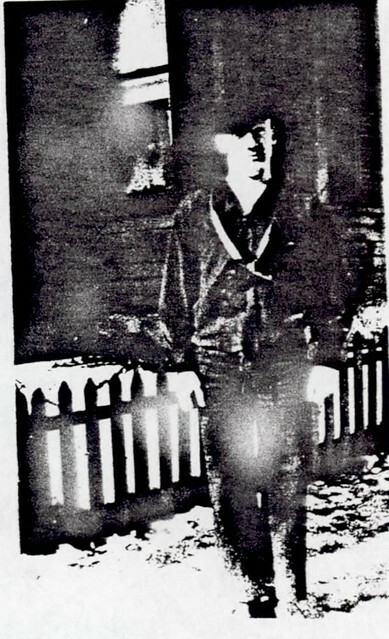 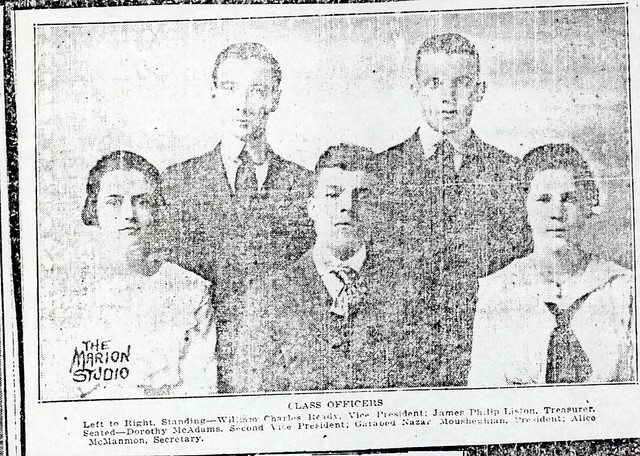 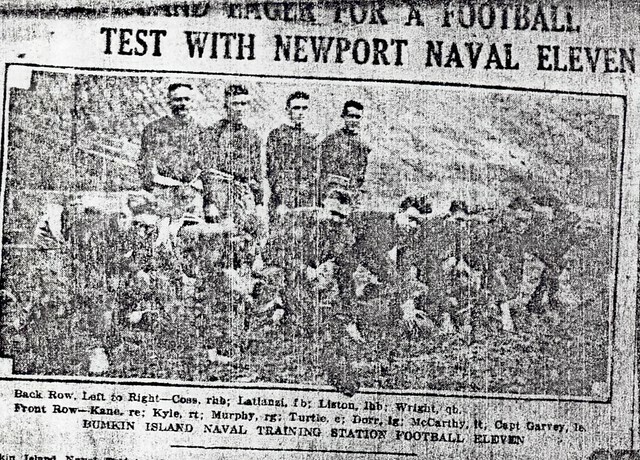 After serving in the U.S. Navy in 1917–1918, Jim attended Norwich University for one year. 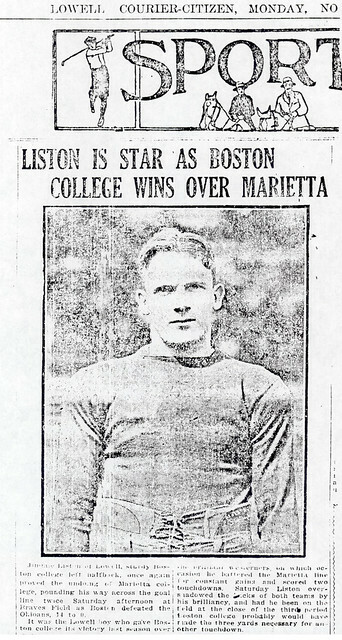 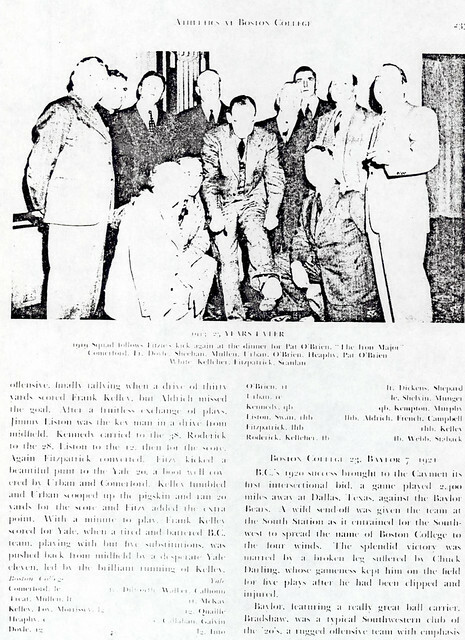 Liston then enrolled at Boston College, where for the following three years he etched an indelible place for himself in Eagle football history. 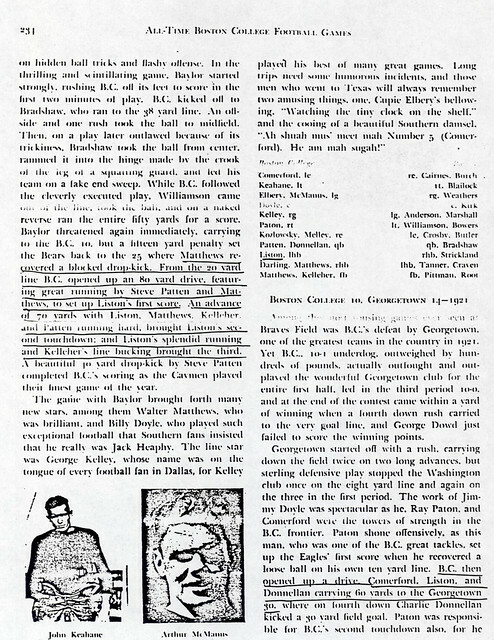 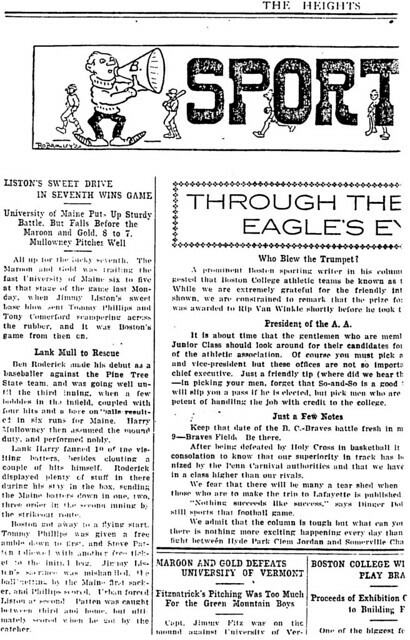 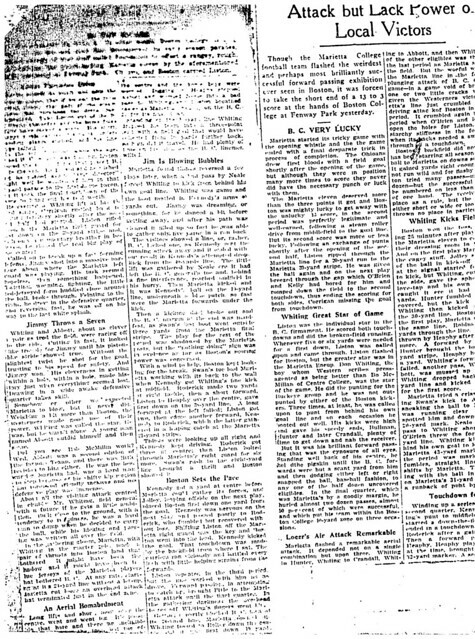 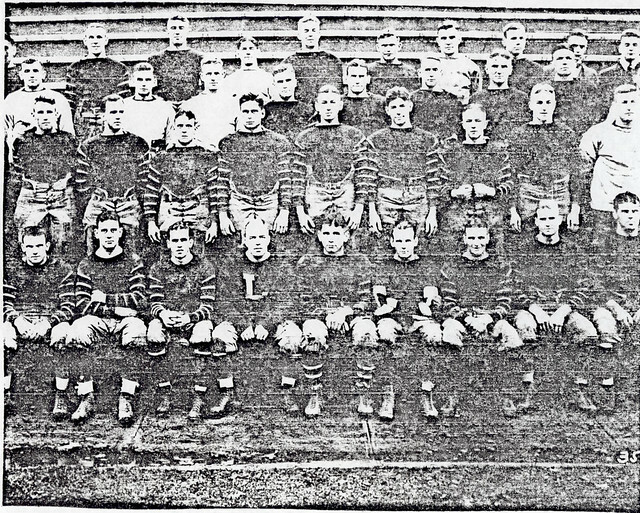 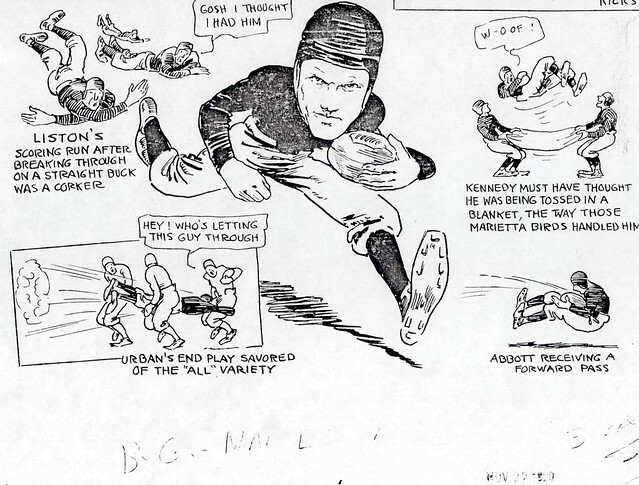 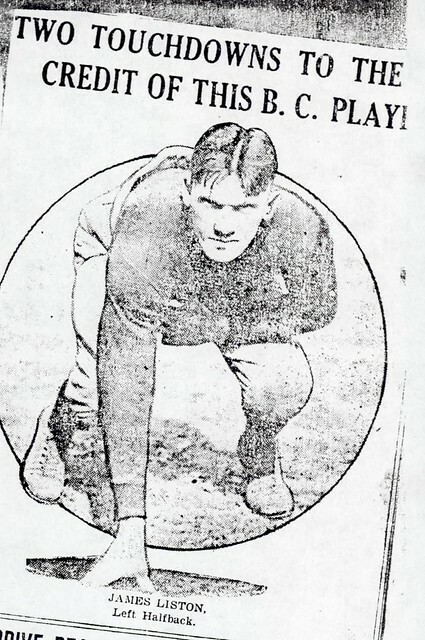 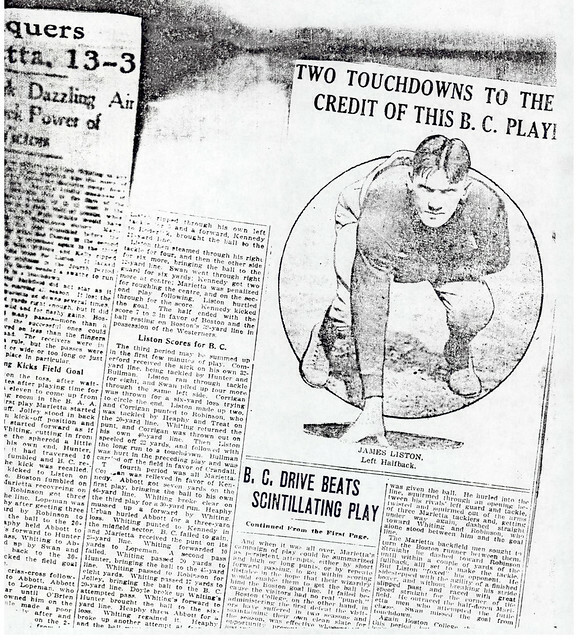 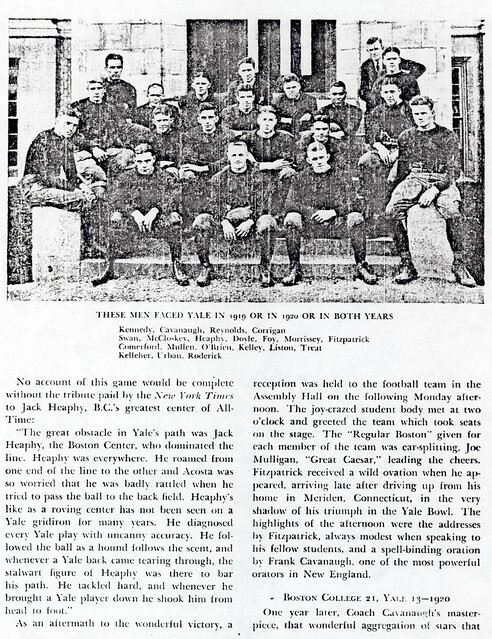 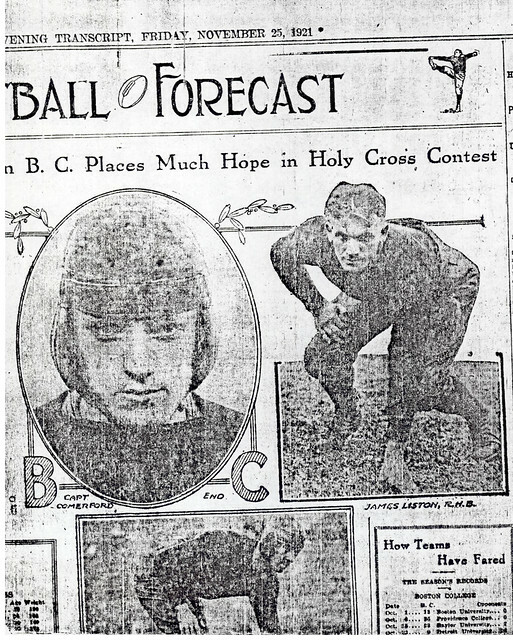 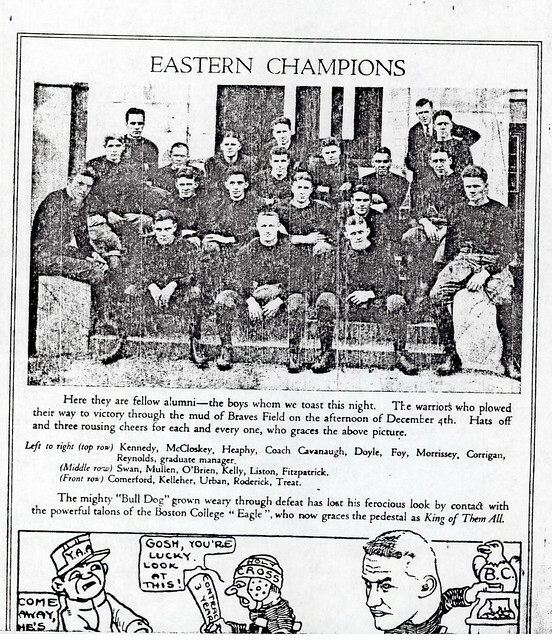 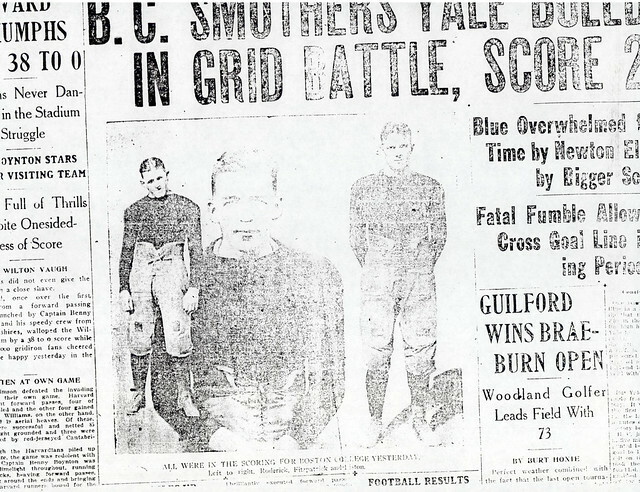 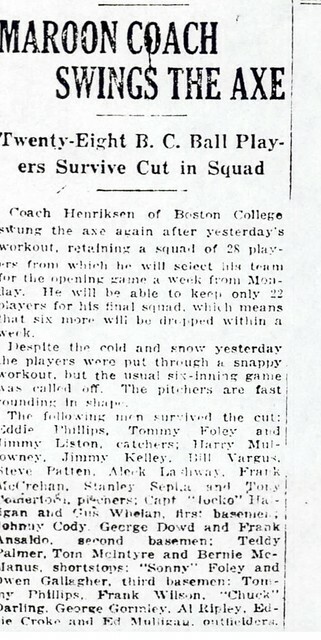 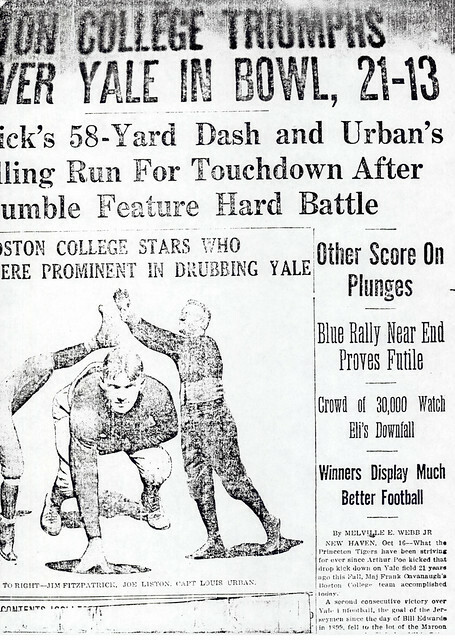 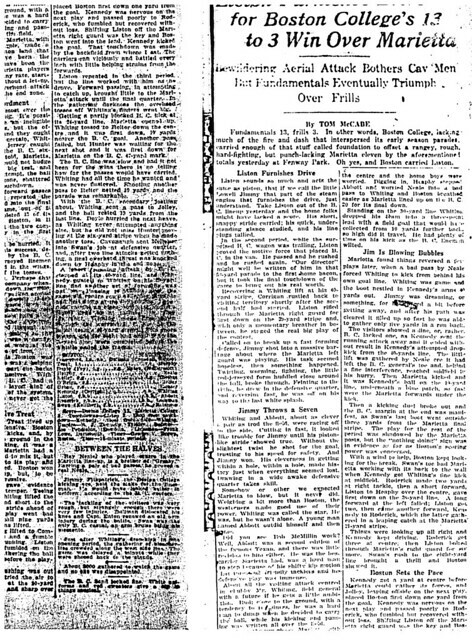 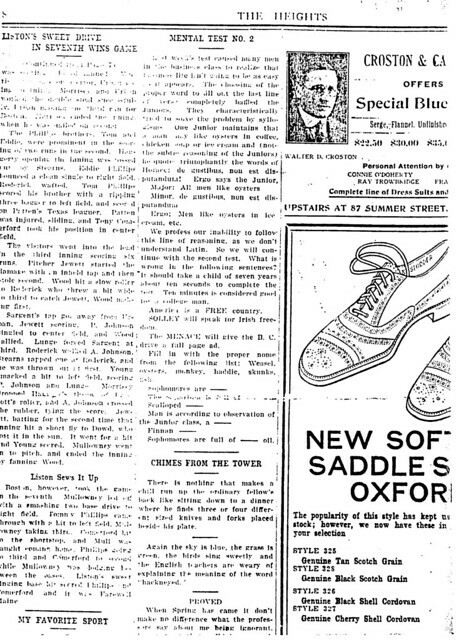 He starred at left halfback and was an integral part of the 1920 Boston College eleven that upset powerful Yale reroute to the Eastern Collegiate Championship. 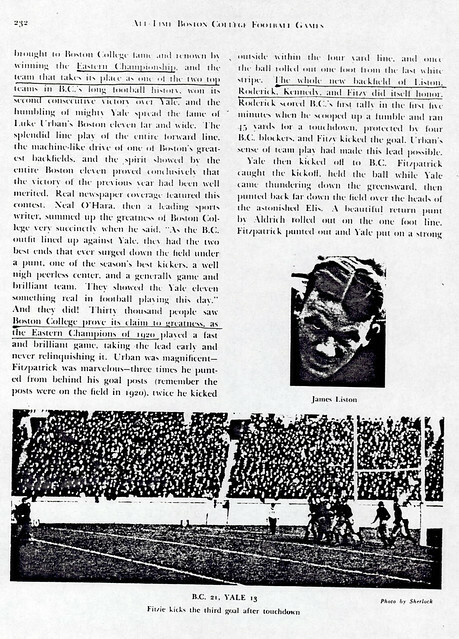 Jim received Honorable Mention All-American honors and inclusion on the elite Boston College football Honor list for his efforts. 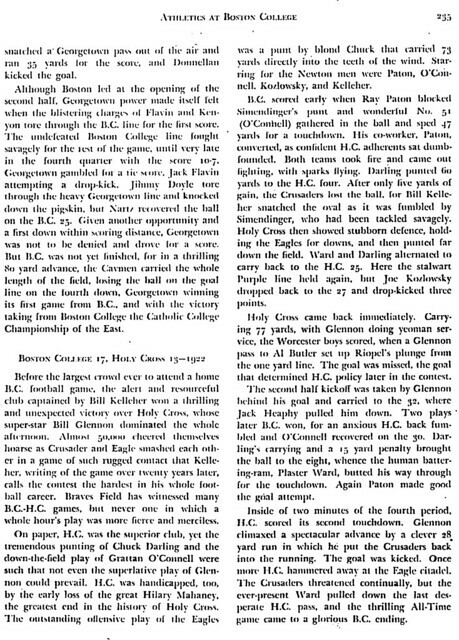 Jim also was a standout catcher for the Eagle baseball team. 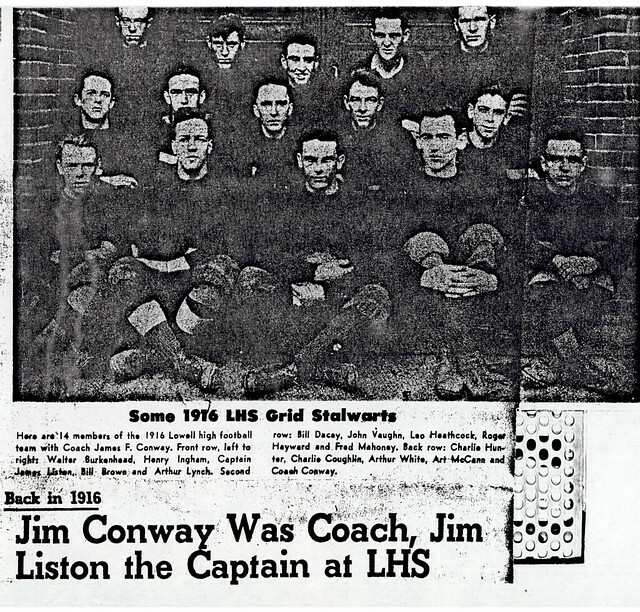 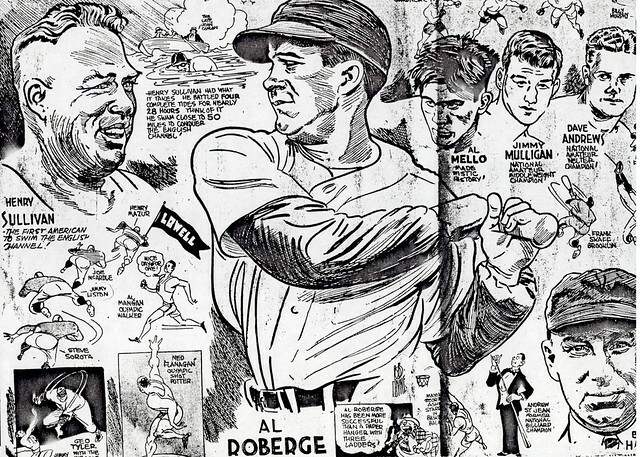 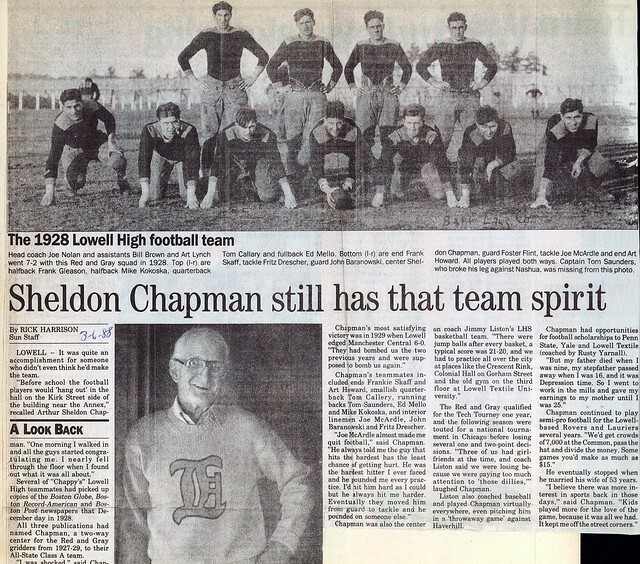 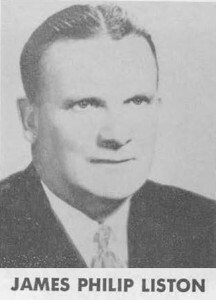 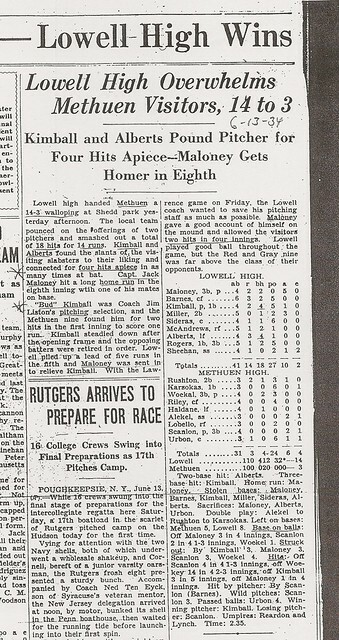 Jim remained actively involved with athletics as a teacher/coach at Lowell High School from 1922 to 1964. 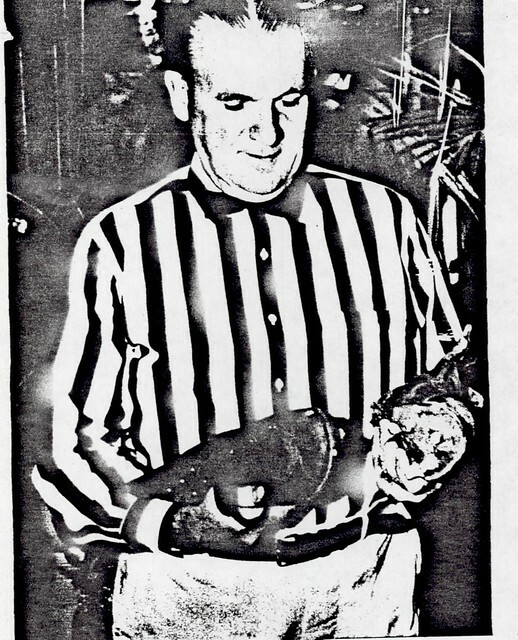 For 31 years, he was one of the most highly respected high school and intercollegiate football officials in New England.